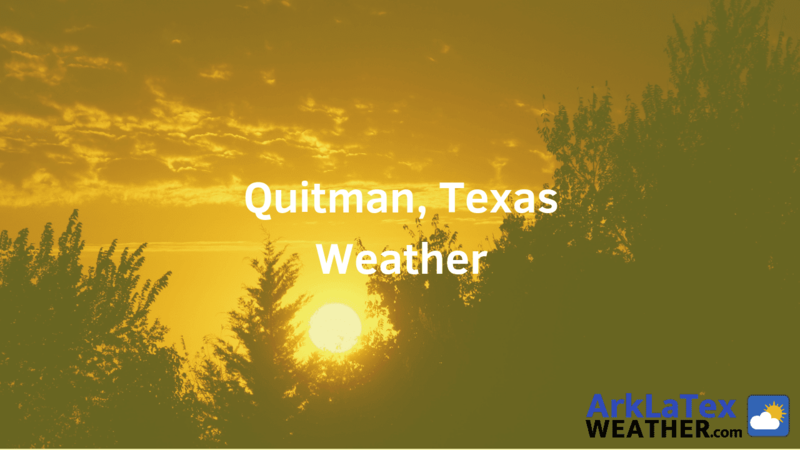 Be prepared with the most reliable daily and hourly forecast for Quitman, Texas and Wood County, including high/low temperatures, wind, cloud cover and more. Also find weather alerts and current weather conditions for Quitman along with hourly information. For a full seven day forecast, click here to view the weather page on our sister website ArkLaTexWeather.com. CLICK HERE for full Quitman, Texas and Wood County weather forecast from ArkLaTexWeather.com - including the complete seven day forecast.